Behind the Logo – Pottery, paintings, photography, and more! Who knew that the backdrop for the redesigned logo and website for Turning True Studios would be found in California. This tree, with its rainbow of colors, was one of many that was photographed along the way last April. 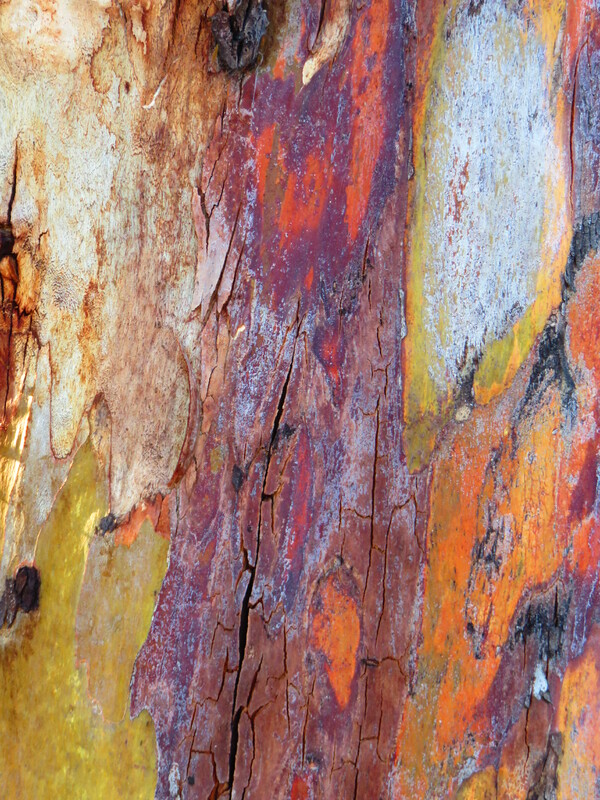 As the bark on these Blue Gum Eucalyptus trees peels away, new colors are uncovered which creates an ever changing woodland kaleidoscope. These trees are a delight to the imagination and challenge the notion that when drawing a tree trunk all you need is a brown crayon.